Recently, Bollywood has been lacking in content-driven films, although when it comes to commercial cinema, somehow B-town seems to possess that quirk in abundance. Even though the comedy genre cannot be acknowledged in content-driven section, yet we were bestowed with good and sensible content which can actually make you laugh. Gone are the days when we enjoyed the comedy films without vulgarity and use of sexual content. So far, Bollywood has served us with few of the best comedy films today, namely Bhagam Bhag, Hungama, Hulchal, Dhol, Garam Masala and not to forget Hera Pheri and many more. But, the overall approach towards comedy films has been degrading with a sweeping blow. And its aftermath has been a shocking one! It is completely agreed, we can't expect an entertainment film to be on par with a classic or art film. But does the content make any sense today? Is vulgarity or sexual content really necessary to produce a comedy film? Is that the content which sells? In fact, today comedy films run on the same monotonous formula Bollywood has provided us with. Is that it, can't we expect anything better? We clearly saw how Golmaal - Fun Unlimited proved to be one of the classics in the comedy genre. However, what about the recent release? Today, we try contemplating what went wrong with the franchise and how it failed us with every release they made. The dissection of the Golmaal franchise can be done on lines of Storyline, direction, and acting. 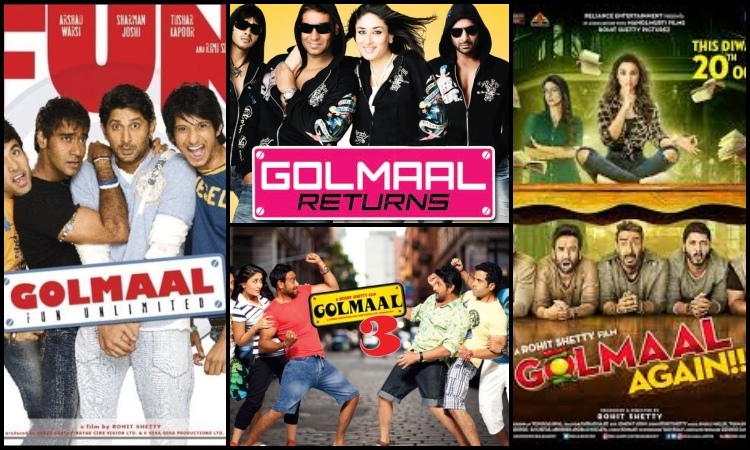 Overseeing why Golmaal Franchise has failed we start with considering the storyline. It certainly plays a vital role in every content and similarly, it is really necessary to get a stronghold of the script. 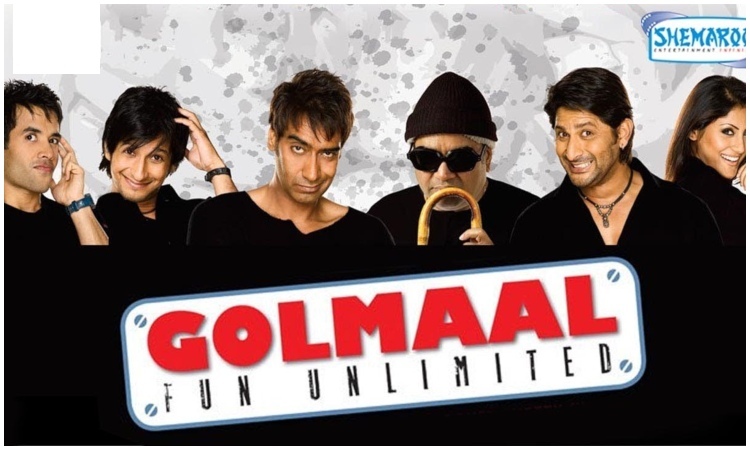 In retrospect, Golmaal: Fun Unlimited (Starring Ajay Devgn, Arshad Warsi, Tusshar Kapoor, Sharman Joshi, Rimi Sen, and Paresh Rawal) featured story of four broke friends who seek refuge in old couple's residence. In reality, this might be totally foolish and senseless but the way the whole plot was developed we can hardly see any loopholes. In fact, the director has done a mindful job of getting the pieces together. The actors have done a fine job with the time perfected punchlines and the spontaneity of the dialogues can be seen throughout the film. 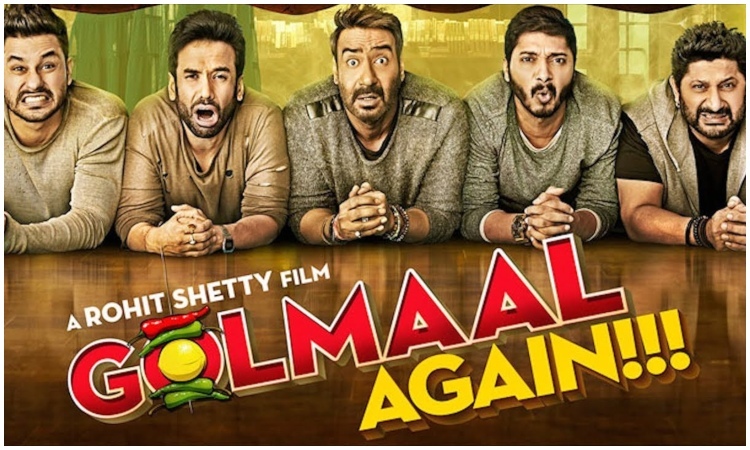 Moving forward to the Golmaal Returns, the film somewhat had a similar impact to the first one. But, the film lacked somewhere around the storyline but didn't have the same impact as the first part. The major twist which was added by the makers was, Kareena Kapoor. The fans certainly loved Ajay-Kareena Jodi and we still love it. On the comic front, the film has done expeditiously well. The franchise later came up with Golmaal 3 which constantly focused on the love story of Pritam (Mithun Chakraborty) and Geeta (Ratna Pathak). The fact the dialogues were a major disaster and Gopal (Ajay Devgn) trying to break fingers when angry proved us; its gonna be a child's ride. Similarly, with the release of the fourth piece, we yet again embarked on a journey of childish dialogues and poor storyline. No matter how hard the actors tried but they couldn't save the franchise from drowning. In conclusion, the constant changing times and casting of the actors, it left the franchise quite vulnerable to negative criticism. Due to the lack of connectivity between actors it even seemed the director had lost his touch after the second part. Some things are exceptional when left untouched. As we try to emphasize on the recent release from the franchise, it made no sense to watch the 40s aged men trying to chase each other due to some lame excuses, like the feeling of enmity. AWW!Arjun Kapoor's emotional post to PeeCee's Bro love on Siblings Day Vivek Oberoi CLAIMS he was supposed to do Munna Bhai MBBS!